If you are facing charges of DUI in Utah, it is vital to fighting them as quickly and aggressively as possible. 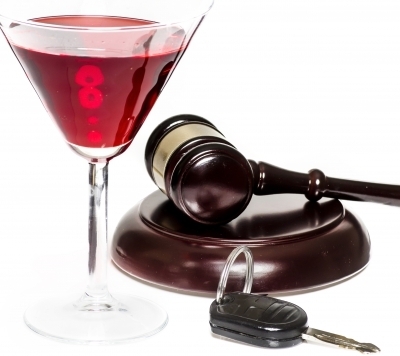 Contact DUI defense attorney Joseph Jardine. Home > Blog > Does Utah’s New DUI Law Hurt Tourism? Utah’s new .05 DUI law has yet to be enforced. But it has already caused a swell of controversy throughout the state and even across the nation. While most states have .08 blood alcohol limit for DUI, Utah’s drunk driving laws will become the toughest in the nation. Although the intent is to make the state’s roadways safer, not everybody is happy. Many believe the tougher DUI laws will have a negative effect on the state’s tourism and hospitality industry. Does .05 Make Utah’s Roadways Safer? One of the biggest debates over the new DUI is whether it will reduce the amount of accidents and fatalities caused by drunk drivers. The facts have yet to be seen. But proponents of the bill cite research conducted by the National Transportation Safety Board which indicates unsafe alcohol impairment begins with a .05 BAC (blood alcohol concentration). However, the National Highway Traffic Safety Administration published data that indicates drivers over the age 65 tend to be more impaired than those who are driving at .05 blood alcohol level. However, there is no actual published study that supports that claim. Among the biggest opponents of the-the, new law is the American Beverage Institute, a Washington D.C. lobbying group. The ABI has already taken aggressive measures to voice its displeasure. Over the past few months, the group has launched an ad campaign condemning those who support the law, including its creator Senator Jim Dabakis. Other groups of paid for advertising in newspapers from neighboring states to boycott tourism in Utah. The .05 law is similar to those found in Europe. However, many European nations do not have a legal drinking age. Consider this scenario. A married couple in Farmington decides to enjoy a dinner at a local restaurant with a couple of drinks. Under Utah’s new DUI law, there would be very good chances both the husband and wife may be considered impaired to drive. It is also important to understand two different people could consume the same amount of alcohol and yet have totally different blood alcohol level. A heavier person is able to consume more alcohol than someone who is thin. Men tend to have greater alcohol tolerance than their female counterparts. The objective of the new law is to save lives. Although it is debatable whether lowering the blood alcohol level will make Utah’s roads safer, there is little question it will probably result in a greater amount of DUI arrests. Just one drunk driving arrest can bring severe consequences. It can cost a person their driver’s license, their job and even their freedom. If you are facing charges of DUI in Utah, it is vital to fight them as quickly and aggressively as possible. Farmington DUI defense attorney Joseph Jardine understands the challenges and obstacles each of his clients face. He utilizes an aggressive and comprehensive approach to ensure the rights of each client are protected. Properly knowing and understanding your rights can often make the difference between getting DUI charges reduce, dropped or spending time behind bars. Do not take chances on your legal representation. Contact the Jardine Law Offices, P.C. to schedule a free initial consultation.